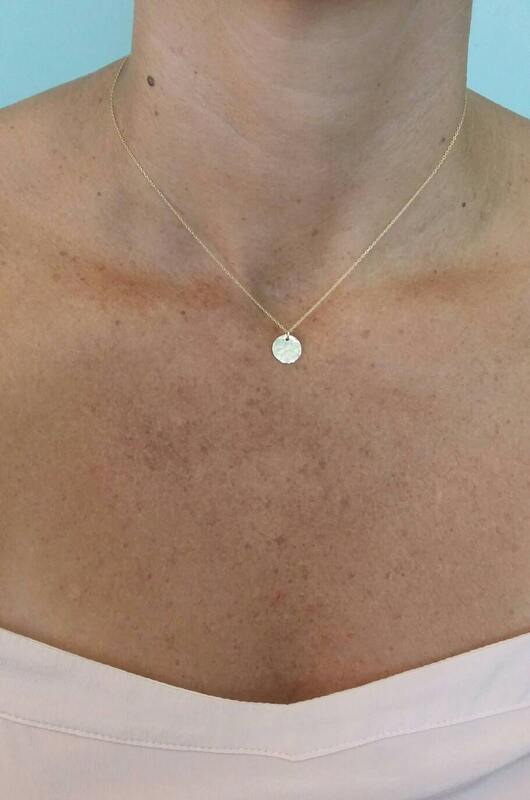 This tiny gold fill necklace is perfect for layering! 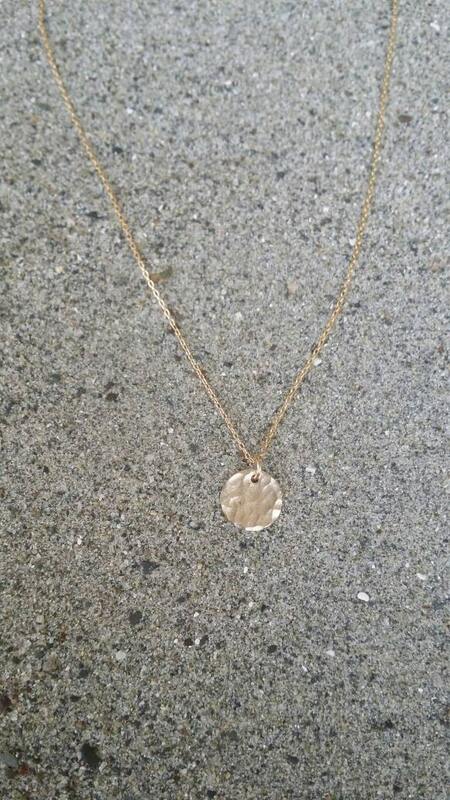 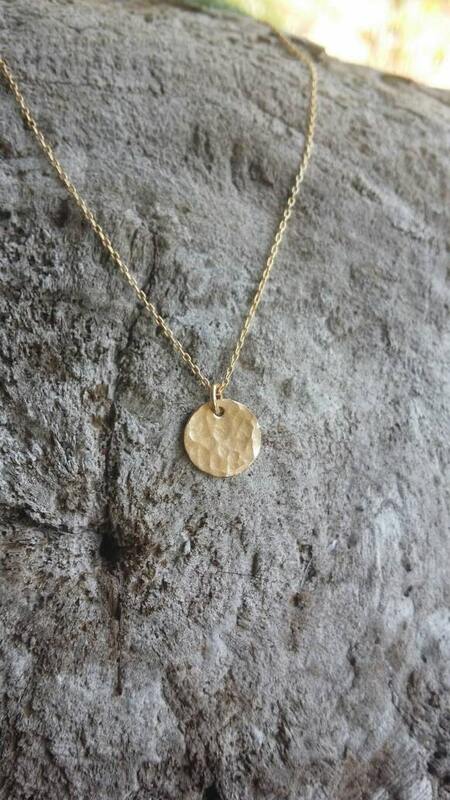 The 9mm round charm is hammered to give a fun effect, and shown here hanging from a 16 inch gold fill chain. 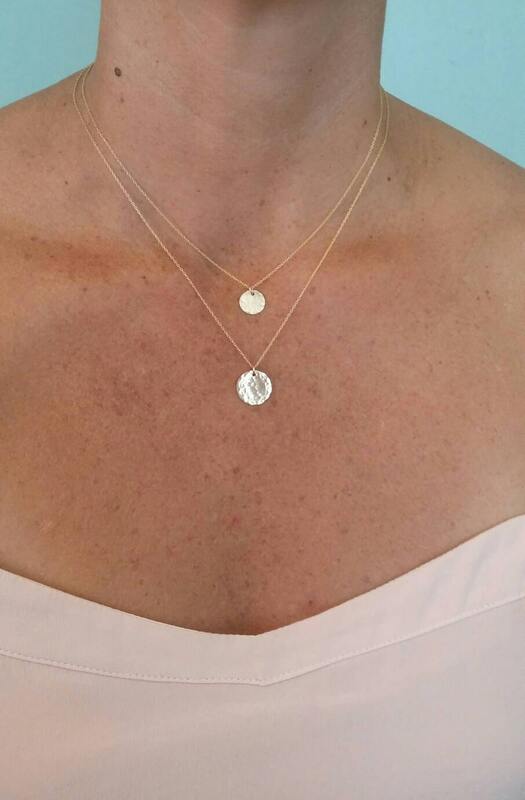 It is also available in 12mm size as pictured layered. 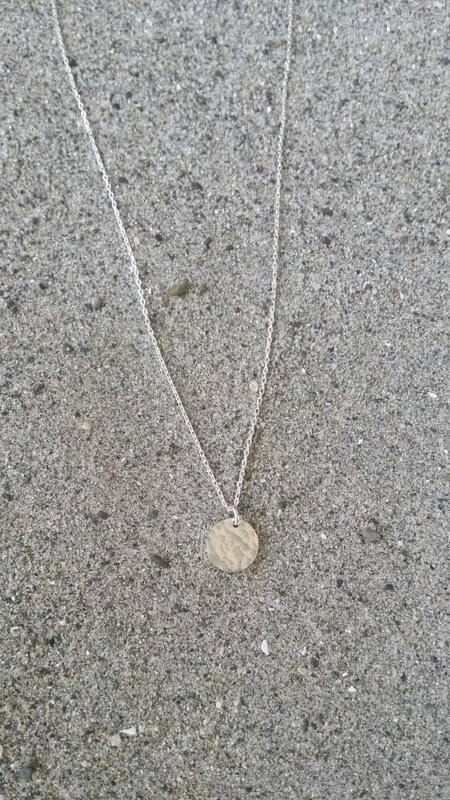 Can also be made in sterling silver as seen in the last photo.